Elegant upholstered bed with soft upholstered, non-adjustable headboard. Its charming and elegant appearance makes the PAD bed so impressive. Everything is well proportioned and still so wonderfully smooth and comfortable. The serach for the best form brought up this really successful synthesis. PAD‘s headrest appears like a turned-over mat which is finely structured by horizontal quilting seams and thus attains its beautiful cosy body. The PAD bed - in the variant offered here - is equipped with a padded, non-adjustable headboard. However, PAD can also be ordered with an adjustable headboard, which increases the comfort even further with a smooth-running and continuously adjustable fitting. The PAD upholstered bed with its simple, inwardly chamfered bed sides is available in various fabrics and leathers from the Möller Design collection. 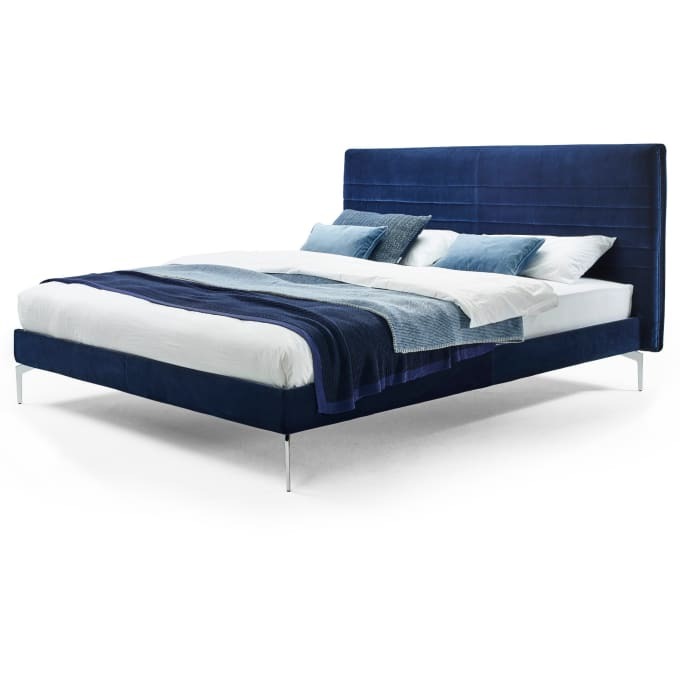 The headboard is supplied with a fixed cover with tensioning fabric on the back. The sides of the bed have a removable velcro blind. The basic frame for the bed sides and the headboard is a sturdy wooden frame. The metal feet are available in various finishes. From a bed width of 160cm Pad is manufactured with middle support and support leg. Do you have a question about "Pad"? How can we contact you?